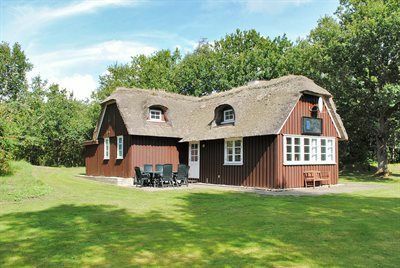 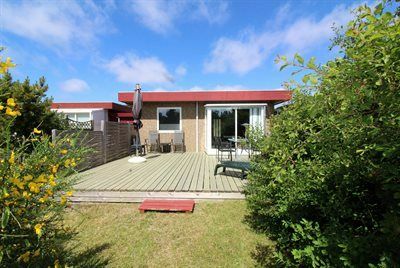 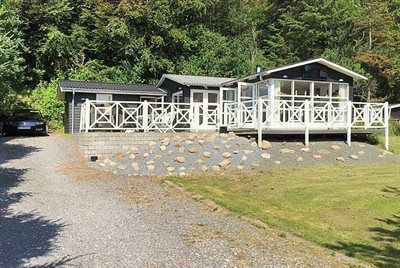 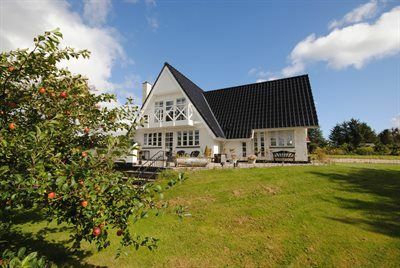 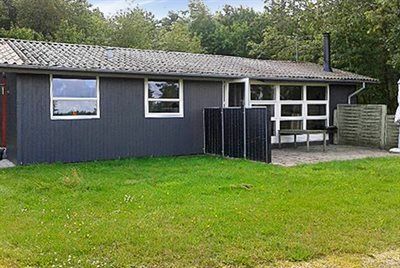 This holiday cottage is located in the prestigious and quiet cottage area of Lodbjerg Hede. 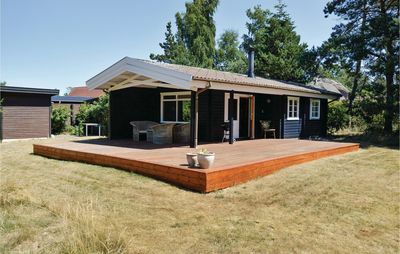 It includes a cosy living room with seating for six people, three bedrooms, a bathroom with shower and a beautiful living room. 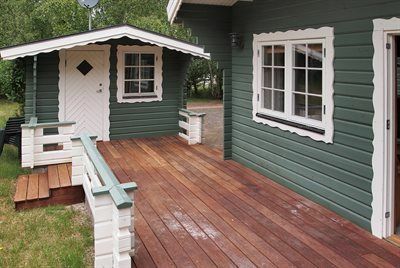 Outside is a beautiful terrace where you can enjoy the beautiful weather, while the children play in the garden. 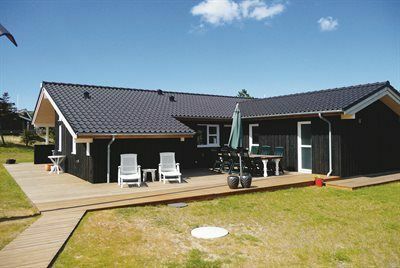 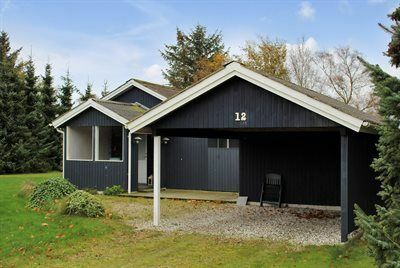 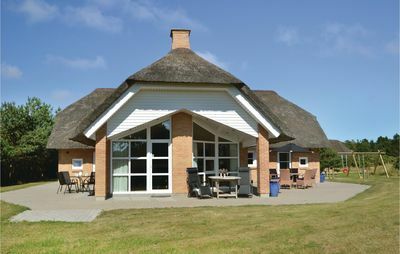 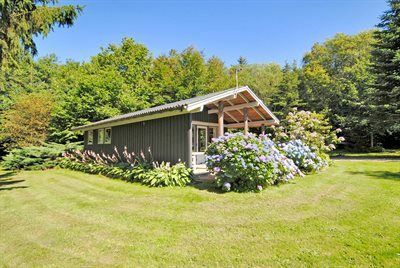 The holiday home is a fantastic choice for guests seeking peace and tranquility within this pretty region of Denmark. 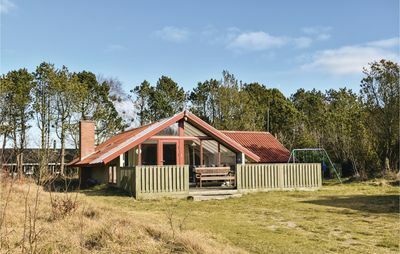 Lodbjerg Hede is a natural area home to deer, rabbits and squirrels. 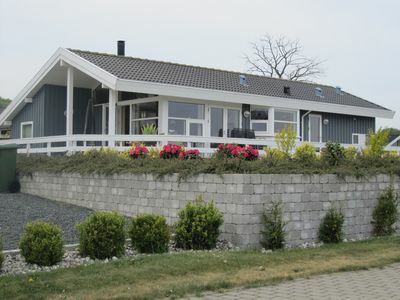 The area offers nature playgrounds, a large golf course, a fishing lake and many paths where you can explore nature. 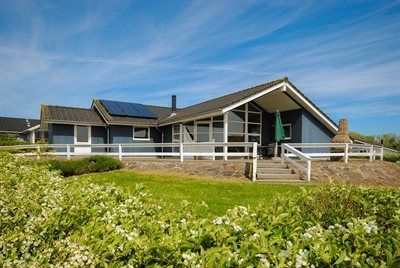 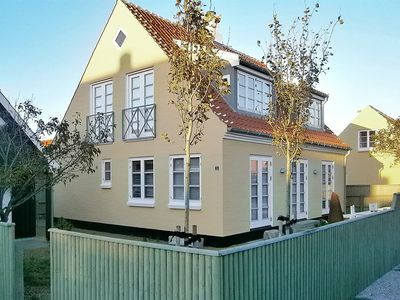 You will be just 5 km from the seaside resort of Søndervig, which is very lively in the summer. 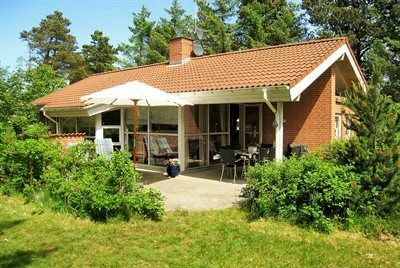 Here you will find several playgrounds, a swimming pool, a mini golf course, bowling, an activity center, restaurants, cafes, bike rentals and a grocery store. 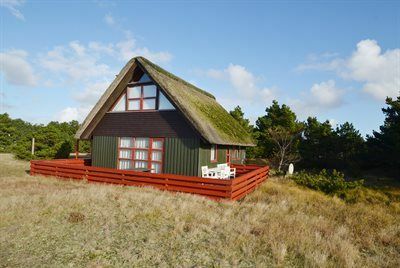 If you follow the Badevej, come to the North Sea with its seemingly endless beach. 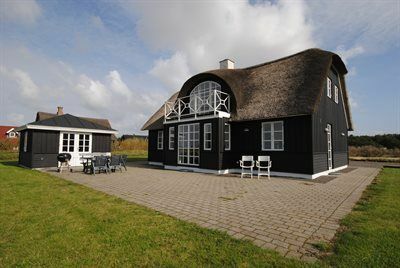 Throughout the area there are many kilometers of well-developed cycling and hiking trails along the roads, but also through the dunes and along the Ringkøbing Fjord. 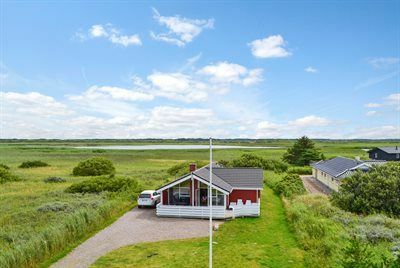 A beautiful evening excursion could be a walk or bike ride on excavator Dæmning where two smaller bridges are the connection to the mainland. 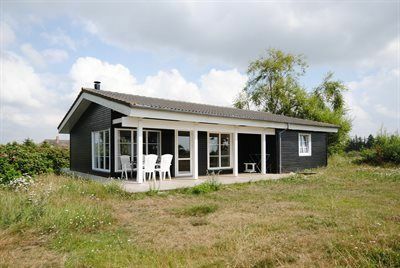 Here you can get close to nature and the many birds. 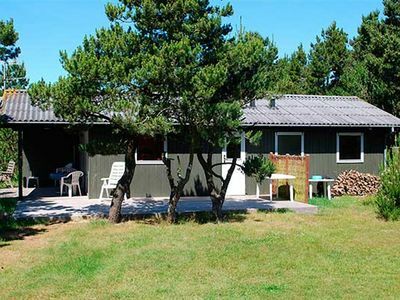 When you're back home, after a good day in the fresh sea air, you can spend the evening on the terrace or maybe heat up the fireplace and play a game whilst reminiscing about the days' events.